Cheese makes everything better! Right? Maybe it doesn’t make everything better, but many things are made better with cheese. It really is one of my favorite foods! 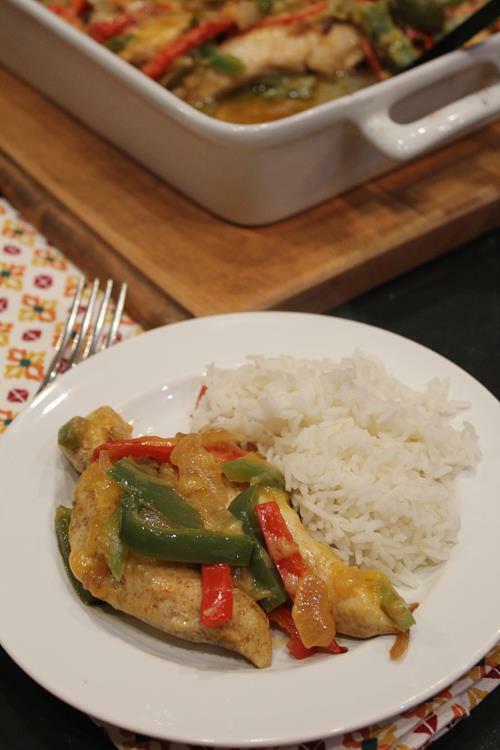 When I served this recently I had planned on it being a simple chicken main dish, but my family had other plans. I ate is as is. 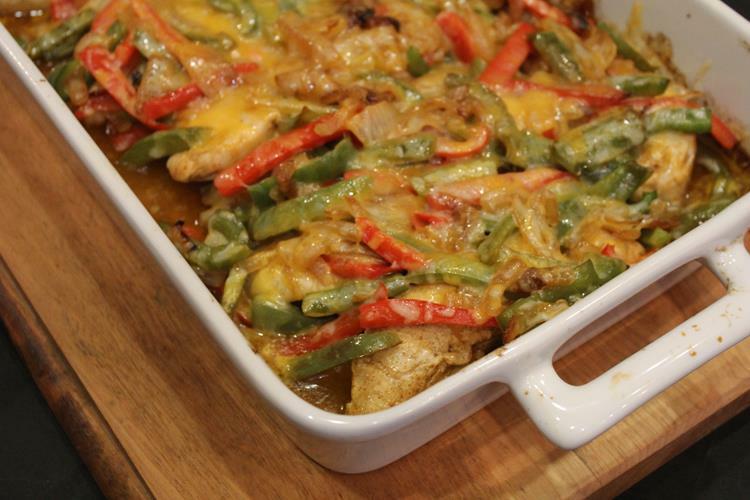 A piece of chicken with peppers, onions, and cheese on top. My daughters ate it over rice. My husband ate it on a tortilla with rice and my son ate the chicken and peppers on a tortilla like you would fajitas. So my family had totally difference opinions on how this is best. I think it is best served just like it is, but you can easily change this up and let everyone eat it however they want. I used green and red peppers because that is what I got on sale, but you can use all green peppers or whatever you find on sale. One of my favorite things about this recipe is that it is normal food that just happens to be gluten free. There is nothing fancy or special about this. It is regular food that is also gluten free. I love it when I can share recipes like that! 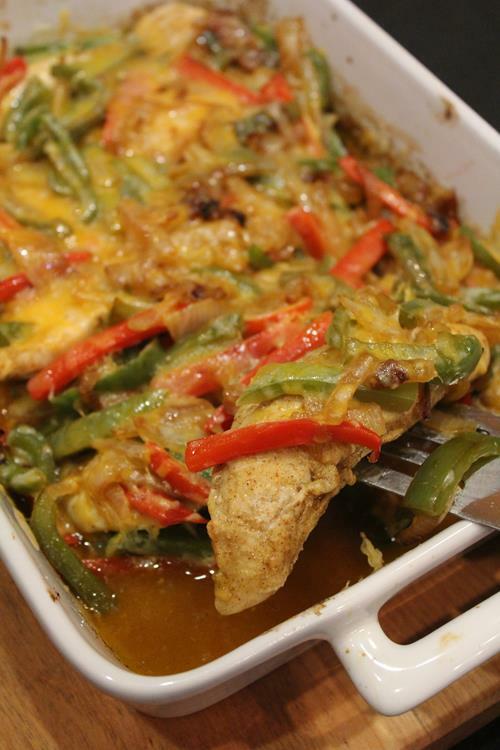 Place chicken in a 9×13 pan or similar sized casserole dish. In a small bowl combine 1/4 cup oil, lemon juice, salt, oregano, cumin, garlic powder, chili powder, and paprika. Pour over chicken. While chicken is cooking heat 2 tablespoons oil in a skillet. Cook onions and peppers just until tender. After chicken has baked for 20 minutes remove it from oven and spread peppers and onions over top. Sprinkle with cheese. Cook for 5-8 minutes more or until cheese is melted and chicken is done. Serve as is, over rice, or with tortillas.